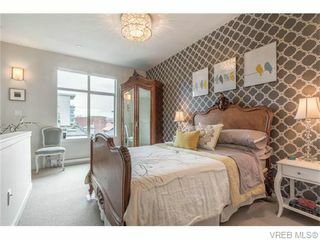 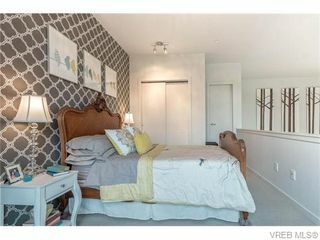 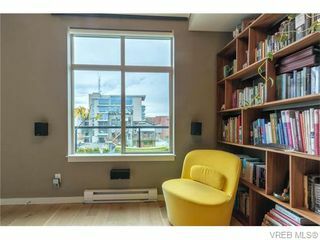 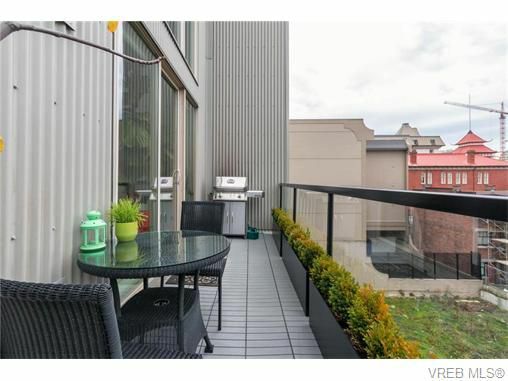 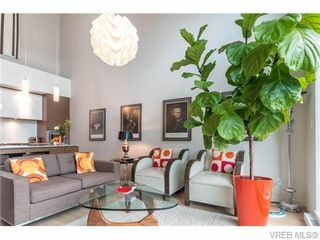 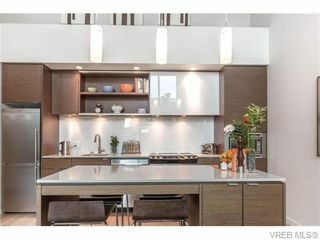 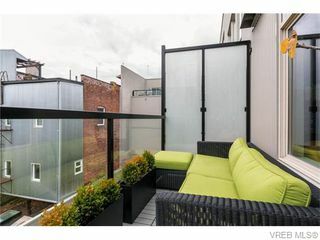 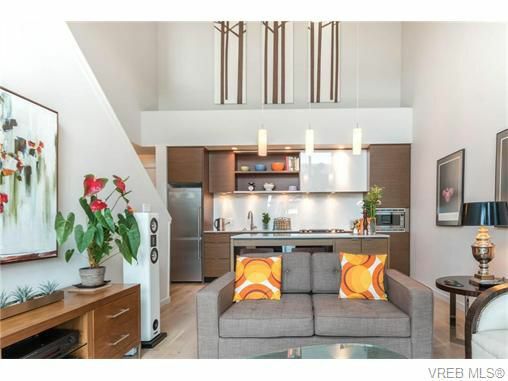 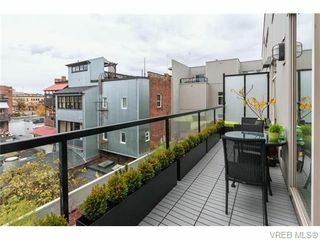 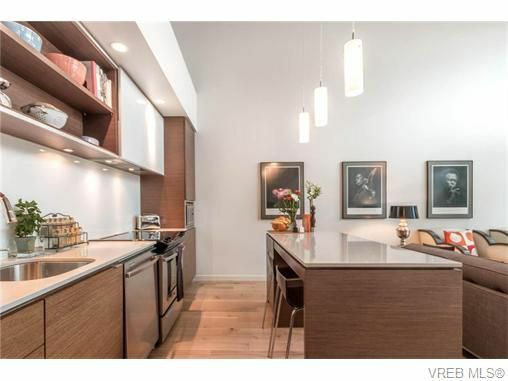 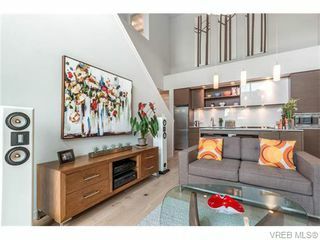 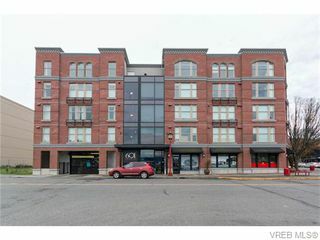 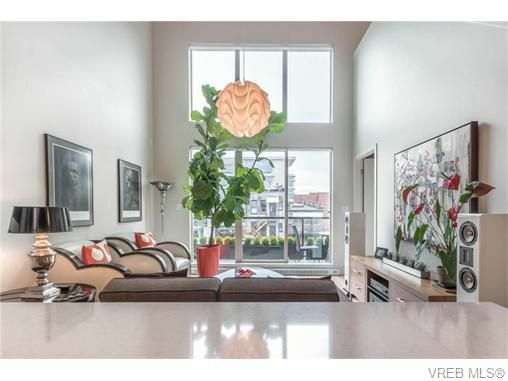 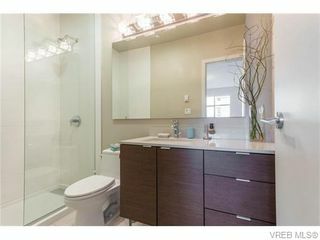 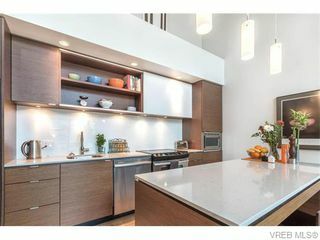 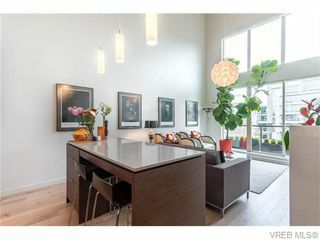 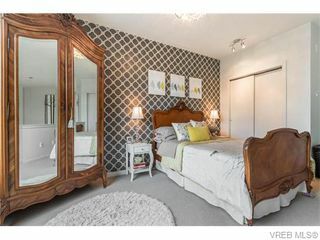 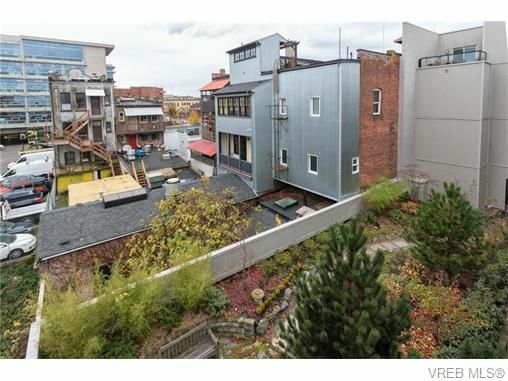 This beautiful,bright,contemporary top floor condo is right in the heart of downtown. 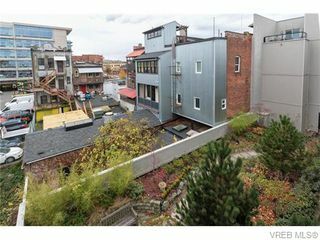 There are large windows in the great living space with 19 foot ceilings, a very usable kitchen & it has a large loft style master bedroom plus a 2nd bed on the main floor. Lots of upgrades including new spectacular lighting in the living room,loft bedroom & master bath,custom modular closet organizers in all closets,wall mounted speakers & wall projector screen in 2nd bed, new deck tiles with custom made planters with boxwood on the large balcony. The building has a beautiful walled zen garden for all the owners to enjoy. 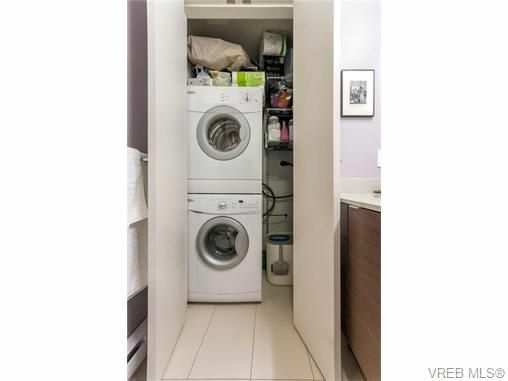 1 Parking spot, a dedicated bike storage room with lockers & bike maintenance area. 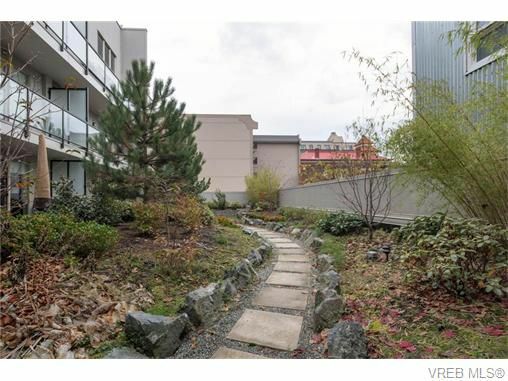 Walk to shops,restaurants &bus routes etc.